As of December 31, 2017, Abraxas’ proved oil and natural gas reserves consisted of approximately 65.9 MMBoe, a net increase of 21.2 MMBoe or 47.5% over 2016 year-end reserves of 44.7 MMBoe. December 31, 2017 reserves consisted of approximately 37.6 million barrels of oil, 12.0 million barrels of NGLs and 97.8 billion cubic feet of natural gas. PDP reserves were 20.7 MMBoe an increase of 48.5% over 2016 PDP reserves and comprised 31.4% of proved reserves as of December 31, 2017. The SEC-priced pre-tax PV-10 (1) (a non-GAAP financial measure) was $425.9 million, using 2017 average prices of $51.34/bbl of oil and $2.99/mcf of natural gas. Realized pricing, including differentials, used in this calculation equated to $46.82/bbl of oil and $1.79/mcf of natural gas. Net proved reserve additions of 23.9 MMBoe resulted in a reserve replacement ratio of 887% (defined as the sum of extensions, discoveries, revisions and purchases, divided by annual production). PDP F&D cost (defined as total drilling and completion capital expenditures divided by total PDP reserve additions) was $10.42/Boe. The majority of Abraxas’ reserve additions came from the Delaware Basin, where Abraxas booked 17 gross Wolfcamp A1, 17 gross Wolfcamp A2, two gross Wolfcamp B and two gross Third Bone Spring proved undeveloped locations across four gross sections at Caprito (1320 foot spacing assumed). Abraxas booked an additional eight gross Third Bone Spring, Wolfcamp A1 and Wolfcamp A2 proved undeveloped locations across four additional gross sections. The remainder of Abraxas’ leasehold in the Delaware Basin remains entirely unbooked for future years. Abraxas also sold 1.3 MMBoe of reserves during 2017. The independent reserve engineering firm DeGolyer and MacNaughton prepared a complete engineering analysis on 98.5% of Abraxas’ proved reserves on a Boe basis. Production for the fourth quarter of 2017 averaged approximately 8,788 Boepd (5,325 barrels of oil per day, 12,334 mcf of natural gas per day, 1,407 barrels of NGL per day). Production for the year ending December 31, 2017 averaged approximately 7,391 Boepd (4,311 barrels of oil per day, 10,655 mcf of natural gas per day, 1,304 barrels of NGL per day). Capital expenditures for the year ended December 31, 2017 are expected to be approximately $135 million ($132 million cash and $3 million stock issuance). Approximately $31 million of the capital expenditures were spent on acquisitions with the remainder spent on drilling, completion and facilities. In Ward County, Texas, the Caprito 82-101H, a 4,820 foot lateral and the Company’s first Third Bone Spring test, averaged 1,122 Boepd (878 barrels of oil per day, 1,463 mcf of natural gas per day)(2) over the well’s first 30 days of production. 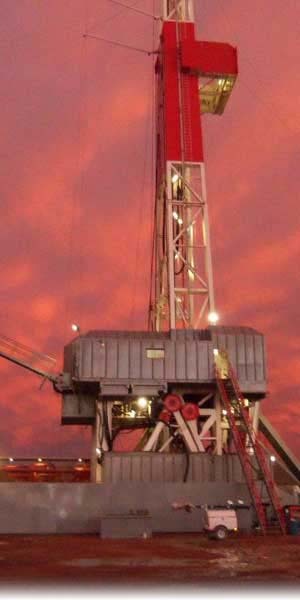 The Caprito 82-202H, a 4,820 foot lateral targeting the Wolfcamp A1 zone, averaged 1,134 Boepd (863 barrels of oil per day, 1,626 mcf of natural gas per day)(2) over the well’s first 30 days of production. Abraxas owns a 100% and 57.1% working interest in the Caprito 82-101H and 82-202H, respectively. Bob Watson, President and CEO of Abraxas, commented, “We are pleased to report our sixth consecutive year of production and reserve growth. 2018 promises to be a continuation of this trend with substantial upside left to be booked in the Delaware Basin and current production rates that are 50% higher than our 2017 average production. Our focused inventory of highly economic development locations in the Bakken and Wolfcamp/Bone Spring position us to drive multiple-years of high-return production and reserve growth for our shareholders. (2) The 30-day average rates represent the highest 30 days of production and do not include the impact of natural gas liquids and shrinkage at the processing plant and include flared gas. Abraxas Petroleum Corporation is a San Antonio based crude oil and natural gas exploration and production company with operations in the Williston Basin, Permian Basin and South Texas regions of the United States.